Let’s face it; we aren’t getting any younger. Anything that can improve quality of life and put more life in your years is something everyone can be onboard about! 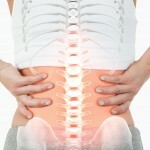 Regular chiropractic care is one of the things that many people stand behind. Spinal pain, arthritis, joint pain, loss of range of motion and a decrease in flexibility are common issues in an aging population. Receiving regular chiropractic care or maintenance care as some call it, has been shown to improve the issues listed above, as well as improving balance issues, eliminating dizziness, and helping those who suffer from chronic pain due to a variety of health-related problems. When you consider that approximately 1/3rd of all adults over the age of 65 experience a fall which causes injuries, it’s plain to see that fall prevention, and healing after a fall has occurred is of the utmost importance to seniors. Chiropractic care, including chiropractic massage, has been shown to reduce dizziness and problems with balance that plague many seniors, as well as reducing healing time if an injury occurs after a fall. What Exactly is Chiropractic Massage? Chances are you already know of the many benefits that come from receiving regular massage therapy. Even for those who cannot easily travel to a massage therapist can benefit from having a massage table in their home, but what makes this type of massage different from chiropractic massage? 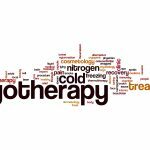 While both types of therapies stimulate the body to heal itself naturally, without the need for invasive surgeries or pharmaceutical drugs, these therapies are similar but aren’t the same. ∙ Offers pleasurable sensations to the senses, including aromatherapy, dim lighting, facials, scented massage oils, relaxing music, etc. Massage and chiropractic care go together like a peanut butter and jelly sandwich. Each part is different but they compliment each other perfectly. Go visit a chiropractic clinic like Better Health Chiropractic in Juneau or one that’s near you because both chiropractic care and massage are ancient and holistic therapies designed to reducing pain and allowing the body to heal itself. These therapies work in combination with each other to treat the entire musculoskeletal system to help you achieve the life you want to live, without restrictions. Dr. Brent Wells is a graduate of the University of Nevada where he earned his bachelor’s of science degree. Then he moved on to complete his doctorate from Western States Chiropractic College. He founded a Better Health Chiropractic & Physical Rehab in Alaska in 1998. He became passionate about being a Juneau chiropractor after his own experiences with hurried, unprofessional healthcare providers. The goal for Dr. Wells is to treat his patients with care and compassion while providing them with a better quality of life through his professional treatment.